Of the thirty Carry Ons filmed to date, which started in 1958, Peter has appeared in eleven. He joined the team in 1963 in the seventh, Carry On Cabby, and then was seen in at least one a year until 1970’s Carry On Henry before re-appearing over twenty years later in the most recent, Carry On Columbus. 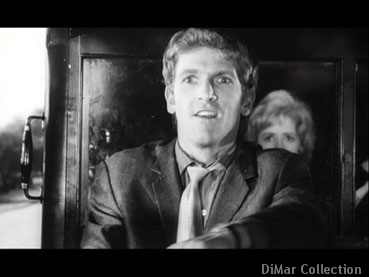 His first Carry On role was as the robber, Dancy, in Cabby when he kidnapped Hattie Jacques and Liz Fraser and was chased by a team of taxis. 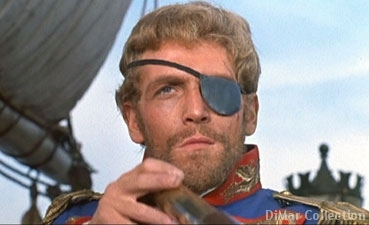 This was followed later the same year by Carry On Jack in which he played the pirate Patch. while in Follow That Camel he was briefly seen as the lying Captain Humphrey Bagshaw who accuses Jim Dale of cheating in order to gain the hand of the fair Lady Jane Ponsonby. 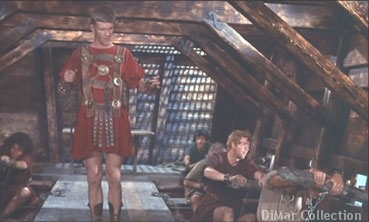 Peter’s third Carry On appearance was even briefer than Camel - a blink and you’ll miss it role as the Galley Master in Cleo. But Don’t Lose Your Head brought him a juicier part as the feared Citizen Robespierre, who wants all the French aristocracy beheaded. 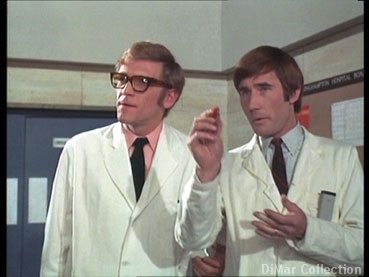 who then gained rapid promotion to doctor in Carry On Again Doctor in which he played “spot the diagnosis” with Jim Dale. 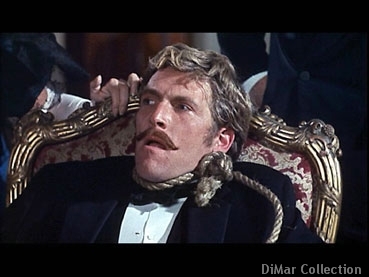 1968 saw him dying as Ginger, a member of the army serving in India, in Carry On Up The Khyber. This is regarded by many as the best of the Carry On films and it certainly contains one of the funniest scenes when the British governor (Sid James) holds a dinner party and the guests “carry on” dining, all (bar one) completely ignoring the shelling of the compound outside and the room disintegrating around them. 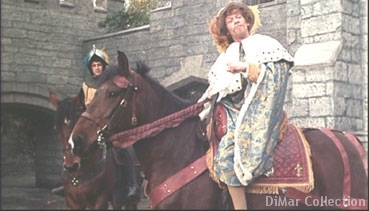 Peter’s penultimate appearance was as the flirtatious but dangerous King Francis in Carry On Henry which was his biggest and best role in a Carry On. 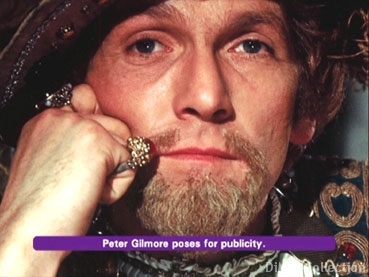 One wonders if he would have been given even better parts in the next films if a certain James Onedin hadn’t come along at this point in his career, however Peter probably got out at the right time as the Carry Ons began to run out of steam soon after. 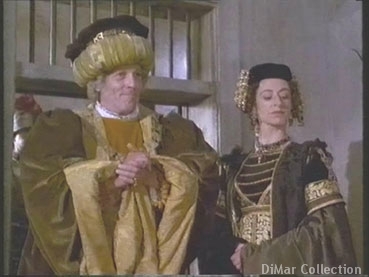 His final Carry On role was in 1992’s Carry On Columbus when he played the Governor of the Canaries, with Maureen Lipman playing his wife. 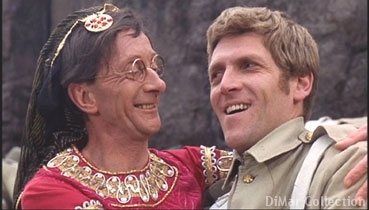 The great diversity of Peter’s roles in the Carry Ons demonstrate his versatility and talent as an actor. 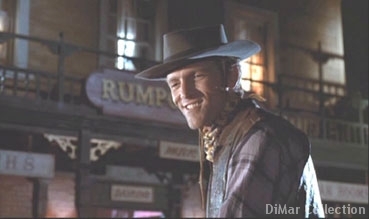 It’s just a shame that he wasn’t given more meatier roles in some of these films. 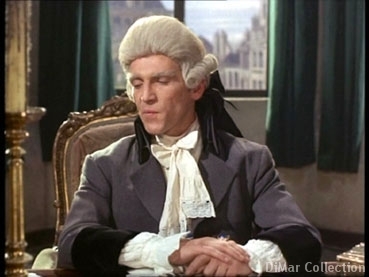 My favourite of Peter’s Carry On characters has to be the handsome King Francis in Henry while I find the funniest is his other French role, Citizen Robespierre - the spitting scenes with Kenneth Williams are hysterical; I also have a soft spot for Curly the cowboy. 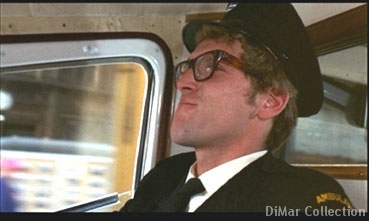 Overall, however, Carry On Cabby probably just edges it as my favourite of the Carry On films featuring Peter. It is very funny, doesn’t have the smuttiness of many of the later films, and the story of Sid James’ character and his wife’s (played by Hattie Jacques) rival taxi firms is told very sympathetically. The unanswered question is whether Peter will have a role in the forthcoming Carry On London; somehow I doubt it.